OnePlus announced Android Oreo for OnePlus 3 and OnePlus 3T in the beginning of the week. Apparently OnePlus 5 is next in line for the new OS. 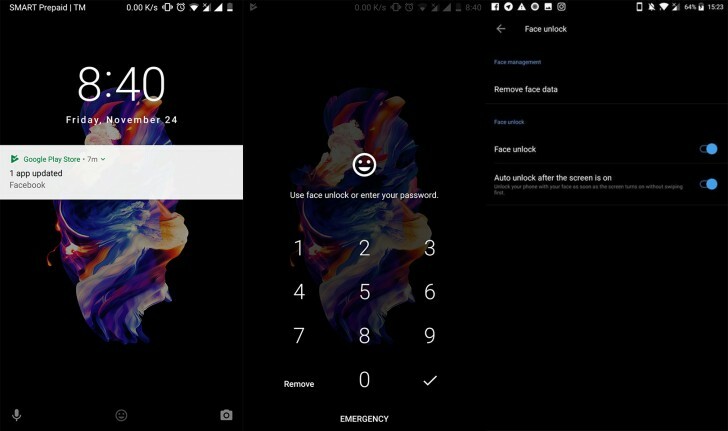 Along with the already expected picture-in-picture and notification dots, arriving at all devices with Oreo OnePlus 5 will also gain Face Unlock. Face Unlock is a familiar feature to OP owners. The latest OnePlus 5T with Nougat 7.1.1 has it and it works seamlessly, as we already established, so it's great to hear that it's coming to the older model. Please someone answer!!!! Can you have face id turned on and still use Thumb id, or can you not use Thumb id at all anymore?? Agreed but i think fingerprint position got to do more about having a different look compared to every other phone. No one did that camera and finger print in same line with a box design. I think sammy was scared to look same as cheaper phones.